^ Joyce, David. Euclid. Clark University Department of Mathematics and Computer Science. 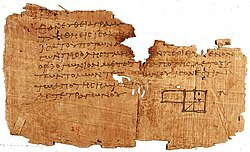 ^ Euclid of Alexandria. The MacTutor History of Mathematics archive. ^ Struik 1967, p. 51 ("their logical structure has influenced scientific thinking perhaps more than any other text in the world"). 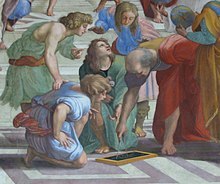 O'Connor, John J.; Robertson, Edmund F., “Euclid of Alexandria”, MacTutor History of Mathematics archive, University of St Andrews, http://www-history.mcs.st-andrews.ac.uk/Biographies/Euclid.html .